So as you know, I’m new to this blogging world. One of the things that intimdated me the most about writing a blog was the thought of having to write in detail about experiences when I feel they only warrant a quick thought. So that’s where this, my first Quick Bite post comes in. 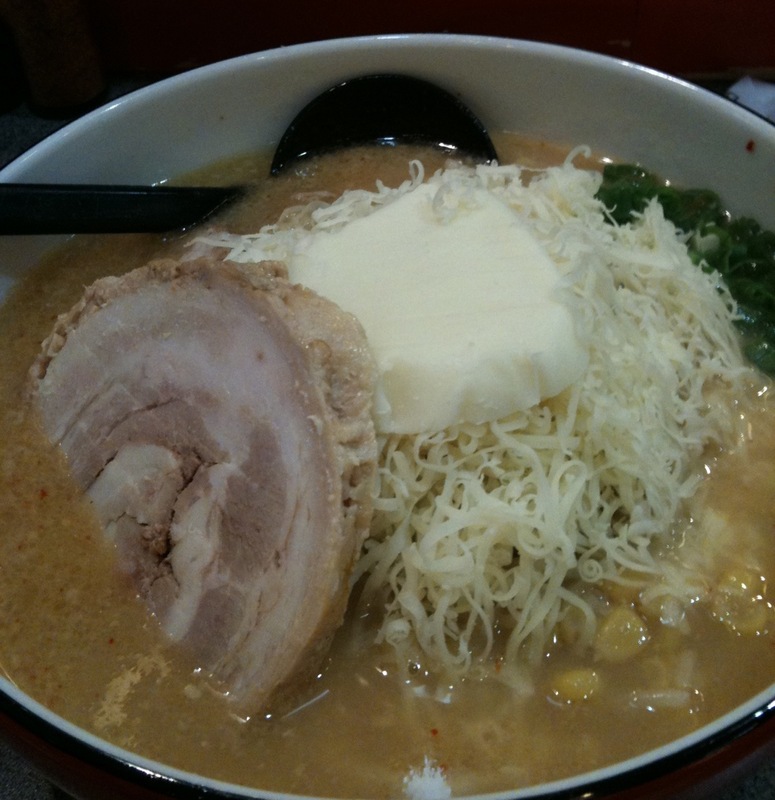 I went to Kintaro Ramen on Denman St. for lunch today. I don’t normally go on a Saturday because it’s so busy on the weekend, but I was craving Kintaro. Best miso ramen broth out there. I’m usually a glutton and get the fatty pork with the rich(fatty) broth. Today I treated myself to the cheese ramen. Cheese ramen is just like their regular miso, but with cheese on top. I can’t figure out if I like it or not, but every once in a while I’m compelled to order it. Very indulgent, but I like their regular miso ramen better. 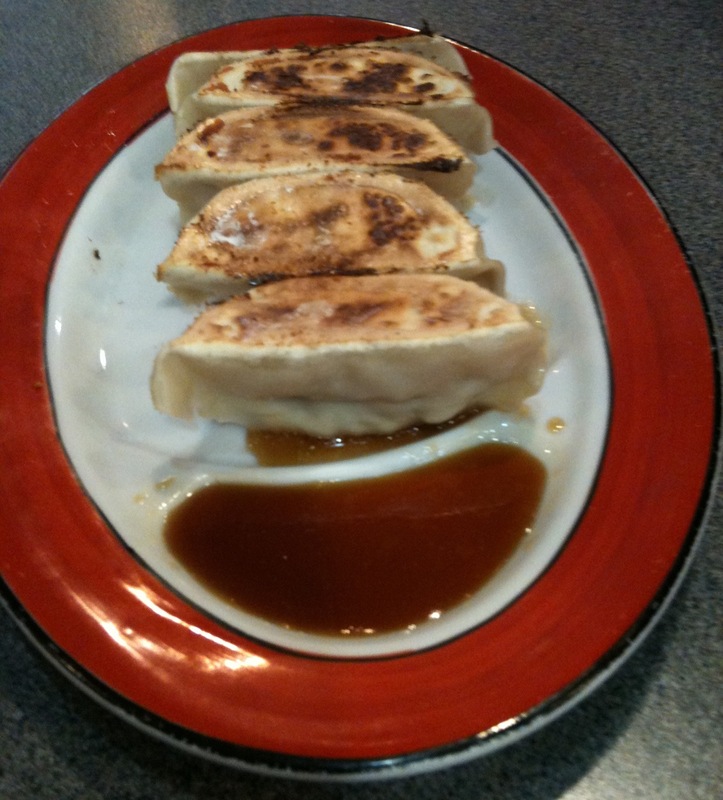 The gyoza there isn’t the best, (Gyoza King and Menya’s are better)but it’s a must when you get ramen. 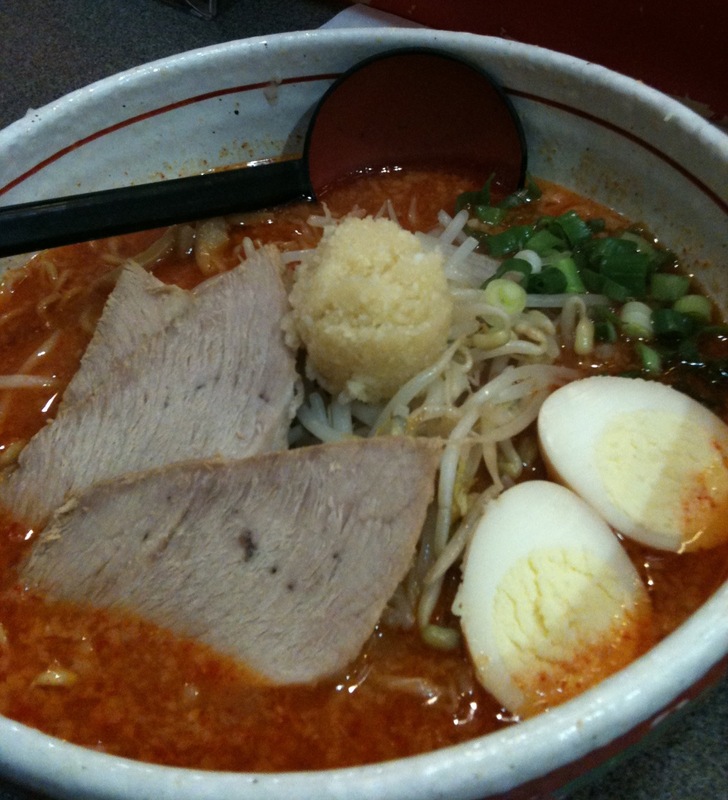 They have a new item at Kintaro, the spicy miso ramen with fresh garlic. My friend ordered this and I had a spoonful. Woah garlicky! The flavor was great, but I don’t think my tummy would be able to handle a whole bowl of it, and Ben probably couldn’t either. Kintaro is my favorite all around ramen place in Vancouver. But that’s not to say I don’t go to all the others, especially when there’s a line-up at Kintaro. I’m not willing to wait in line, when there are so many other places in a 2 block radius which have their strong points. I’ll try to post about those in the future to share what I like about the others as well.